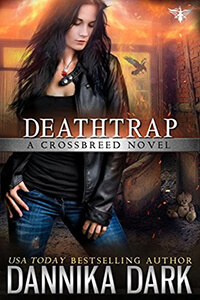 Raven Black returns in another heart-pounding installment of the USA Today bestselling Crossbreed series. 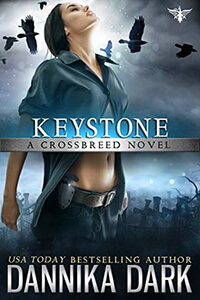 Vampire trafficking is a sinister business, and nobody knows that better than Keystone. After Raven discovers hidden clues in a cold case, the group sets a trap in hopes of catching an elusive criminal. 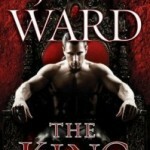 But when the plan backfires, Raven’s world is thrown into chaos, and Christian’s loyalty is put to the ultimate test. Buried secrets come to light, and the only thing keeping Raven grounded is her insatiable thirst for vengeance. The stakes are high as they travel to a place where the landscapes are as treacherous as the immortals who live there. This time, there’s no room for mistakes. 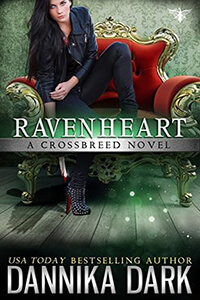 Will Raven have the courage to tame the violence in her heart before it swallows her whole? Another installment is releasing in this amazing Crossbreed world! They seem to be coming out so fast it’s difficult to keep up, but you can’t miss a single one. 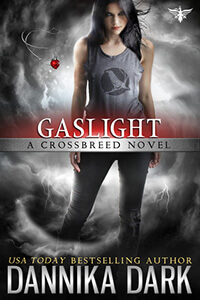 Right now, Gaslight has a release date of February 20, 2018. However, the audio release is not until March 20, 2018. I’m kind of glad the audio is pushed out a month because it may take me that long to get caught up in the series. For me, audio for this author/narrator combo is THE best way to go. They are like milk and cookies. They just go together and make the book that much more delicious! If you haven’t tried this series, you really should now. You don’t have to, but my suggestion would be to read the Mageri series first so you learn about one of the main characters in the Crossbreed series. I just think that it gives you a better understanding of this character. Certainly not a requirement of understanding the story though. So two dates to remember on this one. Book release date of February 20, 2018 for those who plan to read the book, and March 20, 2018 for those planning on listening (me!). Have you, or are you reading this series? Did you read the Mageri first or at all? I’m curious to hear what you think about the importance of which to read first. I’m so ridiculous when it comes to reading things in order!